The painting by Ernest Crofts entitled ‘’Wellington at Waterloo’’ clearly presents the Duke beneath a prominent elm tree. 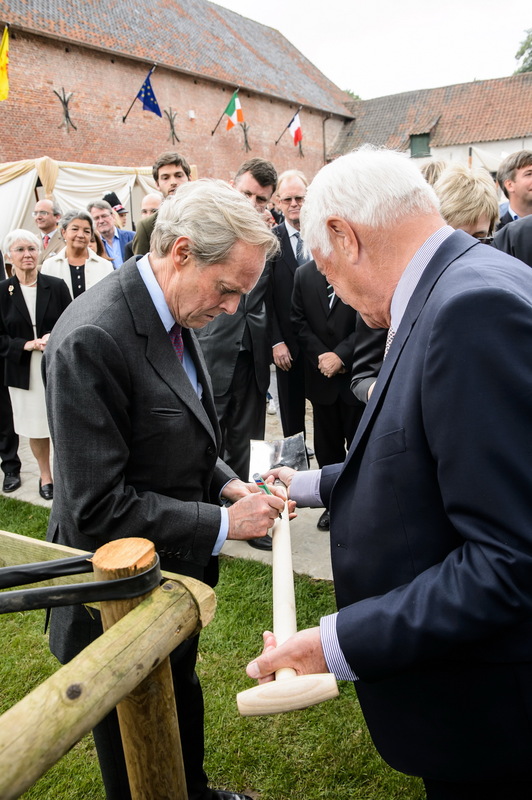 Though the tree suffered badly in the fighting, in the years immediately following the battle the tree became a tourist attraction and was termed ‘’The Wellington Tree’’. 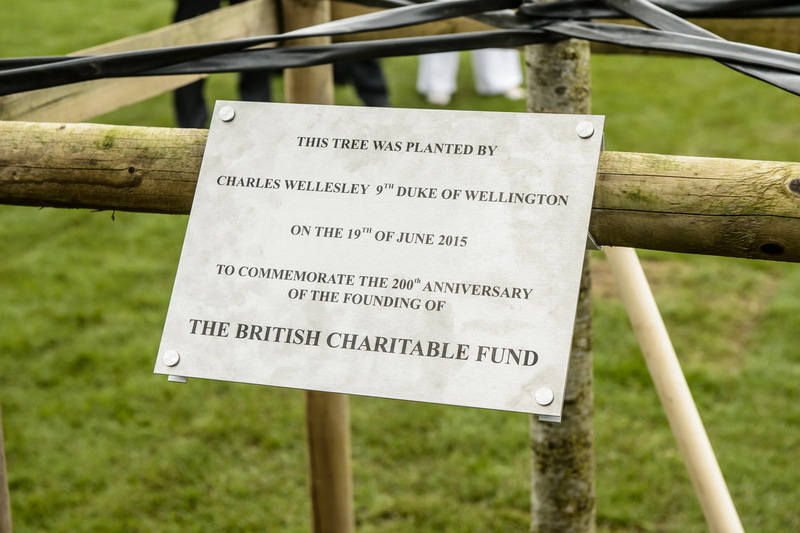 The tree was purchased by an entrepreneur and used to make furniture, including a chair that is still in Apsley House, the London house of the Wellingtons. 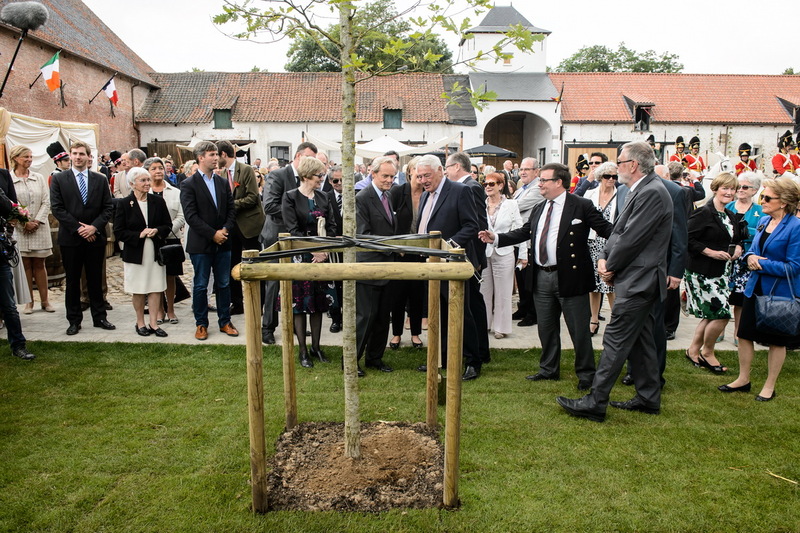 It is fitting that in this bicentenary year another tree was planted at the newly restored Ferme de Mont Saint Jean, which had served as the allied hospital during the Battle of Waterloo. 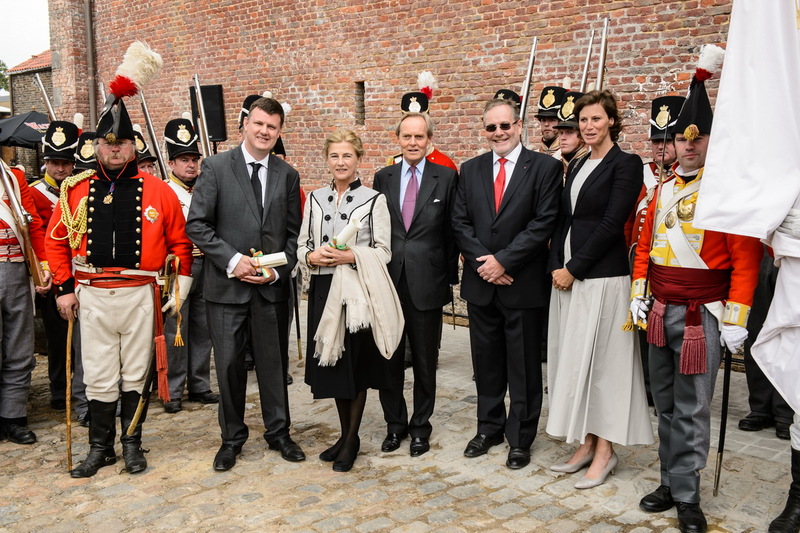 Below are photographs of the ceremonial planting by the 9th Duke of Wellington on Friday 19th June 2015. 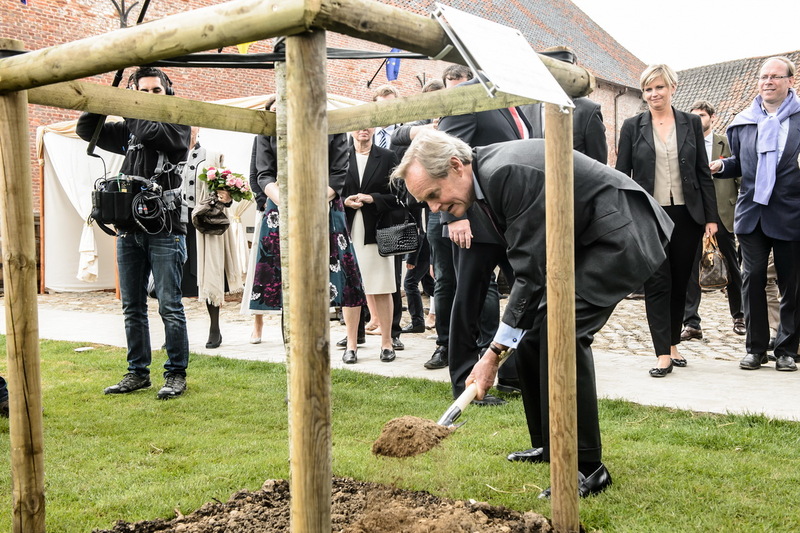 The Duke later signed the spade used for the planting which will be on display at the Brasserie de la Ferme de Mont Saint Jean.